What is stopping your Agency from achieving growth; and not just surviving, but thriving in the current market? Most people would say it’s cash - without cash to fuel the business it is impossible to invest more to grow. Whether it be growing your people through training and development, growing your market though lead generation and business development, or growing up operationally by investing in new technology, it all takes time and costs money. So the spotlight often returns to expenses; specifically a review of “fixed” and “variable” costs. One of the biggest costs is no doubt going to be labour. Cost of labour is a killer, however property management staff are essential, and they can only manage around 100 properties each, right? 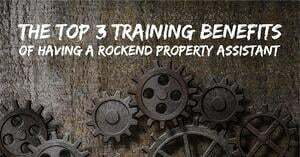 Even if property managers could take on a few more properties, that only alleviates things for a little while until you have to hire more staff to manage the growth. We’ve heard this scenario time and time again. John Knight, Managing Director at businessDEPOT, says it is not uncommon for cost of labour in the PM business to sit around 50%; however, the best agencies are operating at around 37%. At Beepo, we have customers through the use of outsourcing and cloud software achieving results of 25%. 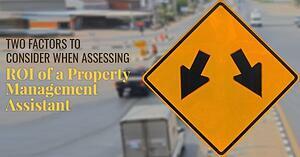 It all comes down to how many properties each property manager can service. Everyone has a different opinion on this, but generally, it seems most people would agree that it sits around 100 properties per full time Property Manager. But with the right support, they can manage 2 or even 3 times this many properties. By supplementing your existing team with offshore resources you can create an environment that allows your local team to stop the process driven work, and focus on what is important to the business such as business development and investor wealth creation. Outsourcing inspections has its pros and cons; although it is a simple process, it is also incredibly time consuming. How much time does your team spend on inspections? Someone has to complete and issue the entry notice, drive to the location, spend enough time at the property to complete a thorough inspection, write the report and send to the landlord. Your PMs do not need to do this; hand it off to a specialist organisation to look after it for them. Automation and Artificial Intelligence are no longer science fiction. Technology has come a long way and if you haven’t moved to the cloud yet, investigate your options and put the wheels in motion now. New software platforms have varying degrees of automation and or artificial intelligence built into them (or can be easily integrated), freeing up your team’s time to focus on the high value tasks. The obvious benefit of running at a lower cost of labour is a glowing bottom line; but that’s the short game. The industry is becoming more and more competitive. New players, new business models and new technology are creating the perfect environment for customers and a very competitive environment for business owners. The indicators are there to suggest smaller boutique operations are going to get bought by the bigger rent rolls; which have the benefit of economies of scale allowing them to invest in new ways of doing things, improving how they service their landlords and tenants (i.e. 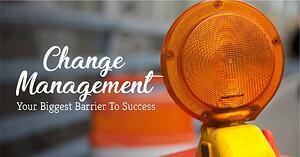 enhancing their value) as well as, if required, lowering their fees to stay competitive. On October 15 and 16 this year, Beepo is hosting a tour in The Philippines focused 100% on Real Estate businesses. 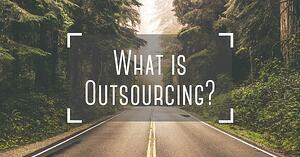 There's no better way to understand how outsourcing works than seeing it for yourself. You can find out more here.